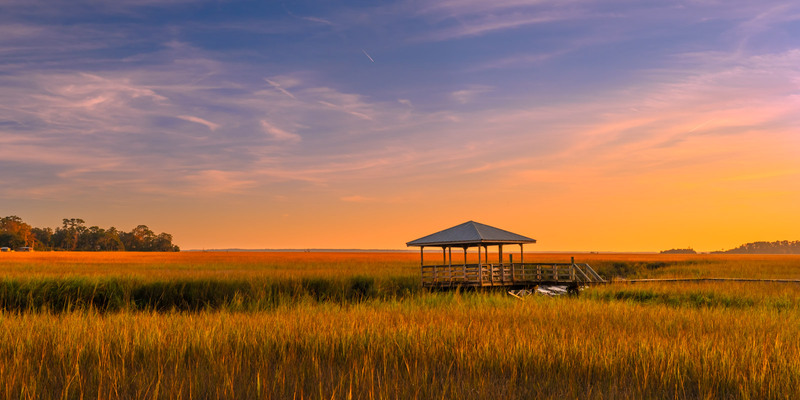 In what is called the "Low Country" of South Carolina and Georgia are these beautiful marshes with tall grass that glows with the rising or setting sun. The residents will have long docks that extend over the marshes to get to the narrow channels of water. Some have these wonderful roofed structures at the end of the dock, but they are hard to find. I wanted to capture the feeling of the marsh at sunset, and with this image, I believe I did.